The Defense Advanced Research Projects Agency is building a new artificial intelligence-based technology that would give military aircraft the capability to enhance flight safety, performance and reduce onboard crew members, FCW reported Wednesday. Steven Walker, director of the Defense Advanced Research Projects Agency, told C4ISRNET in an interview published Wednesday about DARPA’s use of other transaction authorities in its artificial intelligence program. Walker, a 2019 Wash100 winner, said DARPA plans to continue using OTAs in other technology initiatives to speed up the acquisition process. The Defense Advanced Research Projects Agency will hold an annual event intending to grow the creation of a secure, specialized and autonomous electronics industry. The Electronics Resurgence Initiative Summit seeks to gather the electronics sector and provide organizations an avenue to assess technical progress, demonstrate their technologies and share their inputs for potential research pathways, DARPA said Friday. 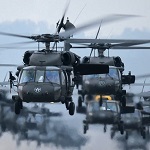 The Defense Advanced Research Projects Agency unveiled an initiative that seeks to automate the integration of scalable cyber security defense mechanisms into chip-based designs with less effort. Steven Walker, director of the Defense Advanced Research Projects Agency, discussed some of DARPA’s programs at the Defense Programs Conference, the Department of Defense website reported Tuesday. Walker said some of the capabilities that DARPA works on to defend the country from existential threats and near-peer adversaries include cyber deterrence, tactical-boost guide program and hypersonic weapons. The Defense Advanced Research Projects Agency launched a new social media platform designed to help the public, industry and the government engage real-time in research and development efforts. The Defense Advanced Research Projects Agency has announced a new effort to develop adaptive artificial intelligence platforms to address real world scenarios. The agency said Thursday that its Science of Artificial Intelligence and Learning for Open-world Novelty or SAIL-ON program will explore the algorithms and engineering concepts required to build such a platform. 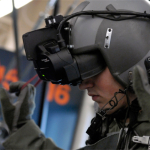 The Defense Advanced Research Projects Agency launched a new program to improve how virtual training environments replicate real-world interactions and host more complex systems. DARPA unveiled Monday that the Digital RF Battlespace Emulator program intends to build a new breed of High Performance Computing capable of supporting advanced radio frequency for simulators. Acting Defense Secretary Patrick Shanahan has issued a memo directing Michael Griffin, defense undersecretary for research and engineering, to submit by March 1 a plan to establish a new space development agency, SpaceNews reported Wednesday. Griffin’s office will oversee the new agency, which is expected to be set up no later than March 29, according to the Jan. 19 memo initially reported by Inside Defense. The Defense Advanced Research Projects Agency launched a program helping the Department of Defense sustain and reinforce U.S. military readiness through the study of warfighter biology. The Measuring Biological Aptitude program seeks to understand biological processes and factors that could affect the performance of specialized military roles, DARPA said Tuesday.